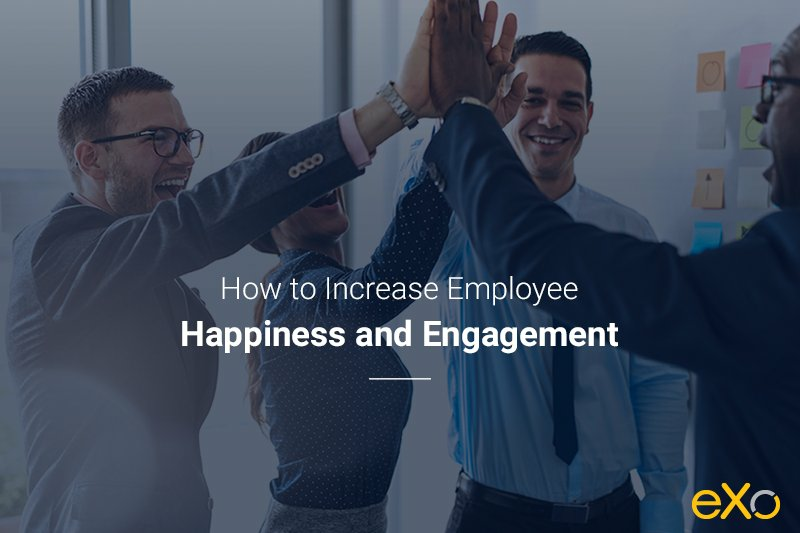 Are your employees happy and engaged? Do you fully reap the benefits of a highly engaged workforce? Probably not. Employee happiness has been hot on the HR priority list for a while now. A new function – chief happiness officer – has appeared in a number of visible corporations. HR community websites, dedicated solely to the subject of making employees happy, have been created and have gained audience and momentum. In short, it seems that people talk at length about employee happiness and engagement – and probably do a lot to make them happen. But does it show? In a nutshell: not really. The latest SHRM report on employee satisfaction and engagement shows that US employees are rather satisfied with their jobs. According to the report, 38 per cent say they’re very satisfied and 51 per cent somewhat satisfied. The same report also shows a steady improvement in employee satisfaction rates since 2013: a total increase of 6 per cent from 2013 to 2017. Unfortunately, employee engagement rates don’t seem to show the same trends. Year after year, poll agencies publish statistical data on employee engagement with no visible trend towards improvement. The latest Gallup State of the Global Workplace report from 2017 finds that 85 per cent of employees worldwide are not engaged or are actively disengaged in their jobs. There are some noteworthy regional differences. Western Europe shows among the lowest engagement rates, with 10 per cent of employees engaged. The US ranks among the best, with 31 per cent of employees engaged in their jobs. But even the US performance remains well below the best-performing organisations, which show employee engagement rates as high as 70 per cent. More importantly, employee engagement rates have shown no trend towards improvement over the last decade or so. When organisations appoint chief happiness officers, what they really have in mind is employee engagement not employee happiness. Those concepts are related but not equivalent. An employee can be quite satisfied with their pay, hours of work, workplace, colleagues and management without being motivated to perform at their best or go the extra mile for the organisation. In other words, an employee can be satisfied and not engaged. The opposite is less obvious, but still holds true. Samsung’s crisis management constitutes one recent effective example of that contradiction. An employee can push themselves, hoping that factors contributing to their dissatisfaction are temporary, for example. Also, employee satisfaction by its essence is a diffuse individual concept rather than a feature of the organisation. It has to do with individual perception of a particular state of mind rather than rational criteria of productivity and performance. Naturally, most of the time, employee satisfaction would be a basis on which to build employee engagement. It’s difficult to imagine a deeply dissatisfied employee giving their all to their employer in the long run. However, it’s also true that 100 per cent satisfaction of all employees is unattainable. Isn’t it human nature to always long for greener grass? When applying Maslow’s hierarchy of needs, the two first levels link to an employee’s need for survival, safety and security. Factors such as compensation or benefits are ever on the top of the employee satisfaction criteria and among the strongest factors influencing the decision to switch jobs (source: SRHM report). Another top criteria is respectful treatment of all employees at all levels and job security. Without the basics being ensured, there can be no employee engagement, whatever an organisation’s other policies and efforts. Stepping back from the basics, the challenge of employee satisfaction can be tackled by rethinking the employee experience as a whole. From the very first contact of a prospective employee with an organisation until the very last, what does the employee experience? Is this experience enjoyable, pleasant, fulfilling? How can it be changed for the better? Transforming employee experience might be the secret to lasting employee satisfaction. Employee engagement is more related to the upper part of Maslow’s hierarchy of needs: the sense of belonging (social needs), the sense of self-value and purpose (esteem needs) and personal growth (self-actualisation). increasing trust in the organisation and its management thanks to increased openness and transparency. Organisations with the highest employee engagement levels (top quartile) are 21 per cent more profitable than those with low engagement levels (bottom quartile of those surveyed, source: Gallup). Better performance at all levels, fewer sick days, less turnover – these are but a few direct dollar-worth benefits of employee engagement. Research also shows that organisations that invest in employee experience perform better than those that don’t on a wide range of metrics: stock price, revenue, profits (source: HBR). Perhaps more importantly, it’s worth remembering that behind the concepts of employee satisfaction and employee engagement lie not only substantial financial gains but a happier workplace and a happier life for everyone. Register for our Community to Get updates, tutorials, support, and access to the Platform and add-on downloads. Sign in Now! I am eXo’s chief operating officer, ultimately responsible for all operations ensuring client acquisition and success. In this blog, I write about modern workplaces and their benefits to organisations and their people. Occasionally, I also blog about my personal areas of interest, such as communication, personal development, work–life balance, sustainability and gender equality. Nice article. Having a happy employee’s gives you several benefits like, It boost your employee’s productivity and also creates a good atmosphere in the work. That is why as a manager you must keep your employee’s happy. Thank you for sharing this.